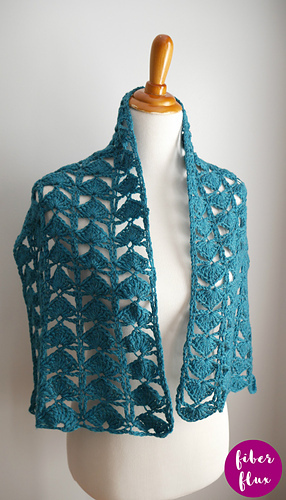 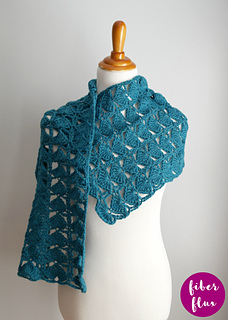 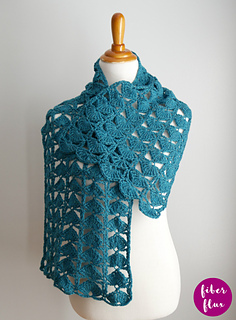 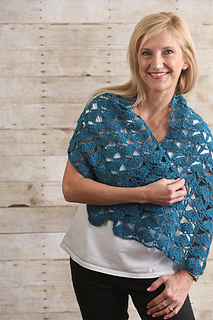 The Sparkling Waters Wrap is a beautiful crochet lace wrap, worked up in a fabulous fan stitch. 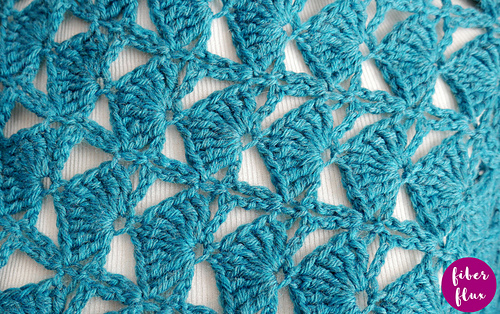 Basic stitches make this pattern an easy but engaging project. 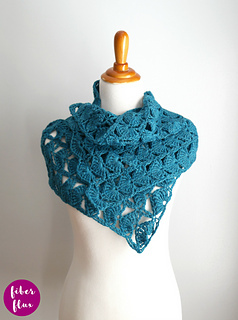 The wrap is a perfect accessory for casual and dressier occasions alike when you need a special little something extra!